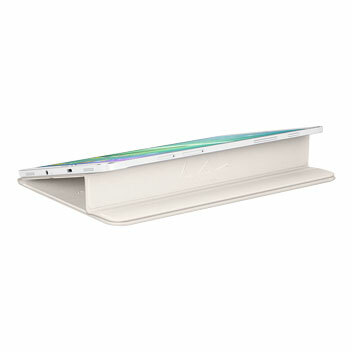 official white,mint blue & gold Samsung book cover with integrated multi-level stand. 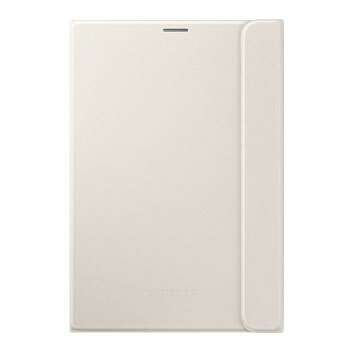 Protect the front of your Samsung Galaxy Tab S2 8.0 from scratches, scrapes and front-on impacts with the official Galaxy Tab S2 8.0 book cover. 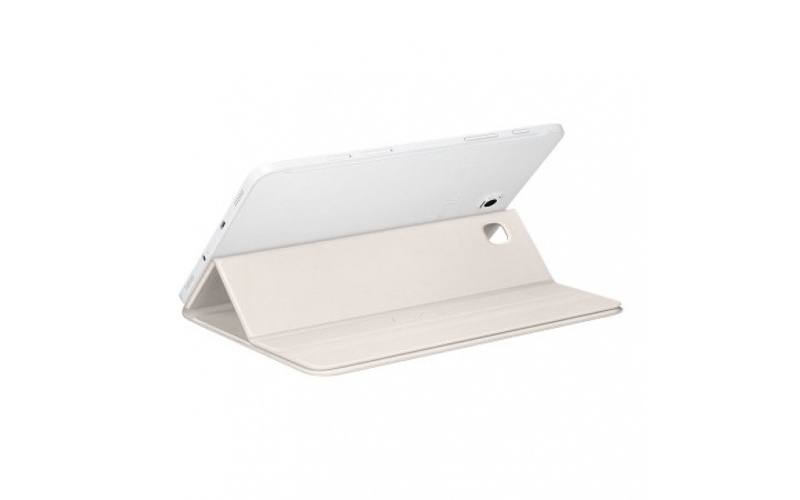 This cover clips onto the back of your device without adding a great deal of bulk, and then folds over the front to protect the screen when not in use. 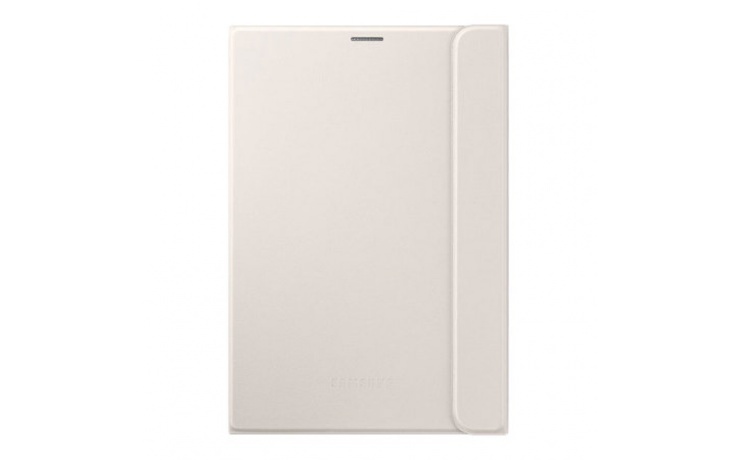 The back of the case is manufactured from a tough polycarbonate that ensures the corners and sides of the Tab S2 8.0 are protected from knocks and drops. 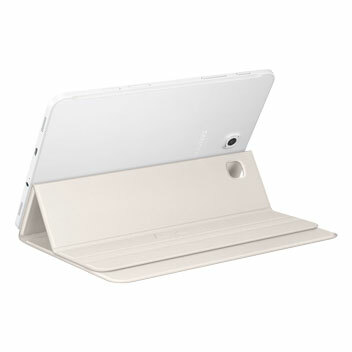 The front cover of this Samsung book cover features folds which can be used to create a two different angled stands for the Tab S2 8.0. 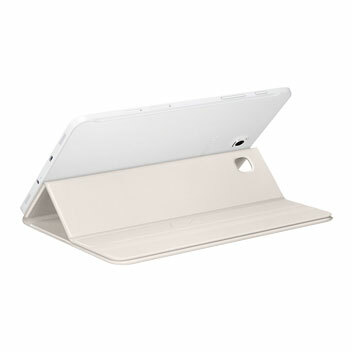 This makes it perfect for propping up your tablet when typing or positioning the device for watching movies. 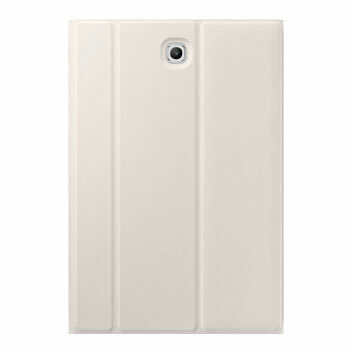 This is an official Samsung product and as such it meets the highest product quality standards. 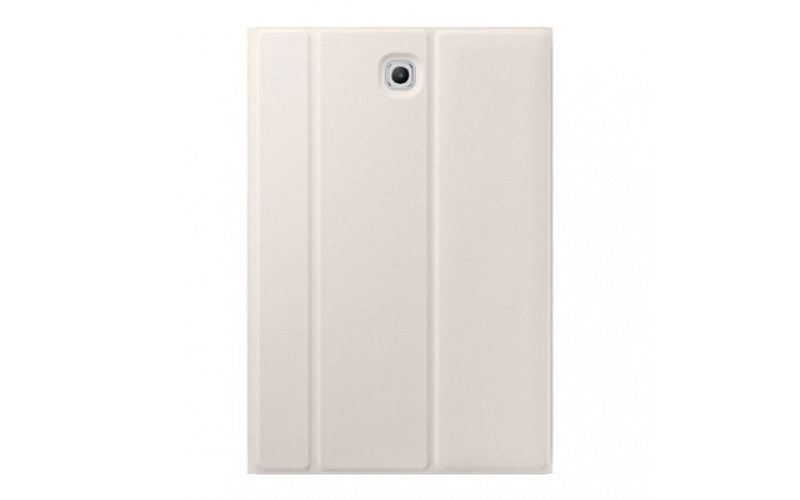 It is designed specifically for use with the Samsung Galaxy Tab S2 8.0, offering a perfect fit and full functionality.